These are fun (and challenging!) duets. The movements included in this suite are Magenta, Maroon, White, Red and Green, Red, White and Blue, Charcoal, Lilacs, Navy Blue and The Blue Sky Series. The White and the Red and Green are obviously Christmas based while the Red, White and Blue is an artistic rendition of The Star-Spangled Banner. 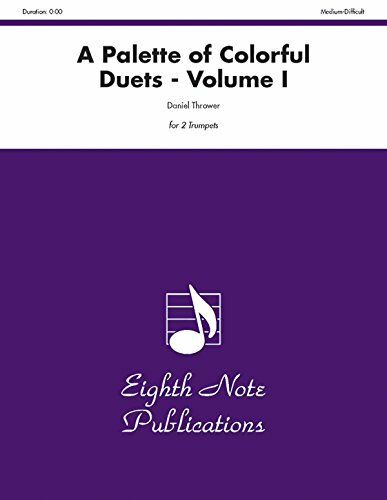 Each of the duets is cleverly written and a joy to play in a concert situation or just in a private studio with students.